New scoreboard, taken over from spadgy's board. Previous Thread. 27. KAW - 3,272,200 - St6 - Lightning - Lv?? Last edited by copy-paster on Sun Sep 02, 2018 6:38 pm, edited 6 times in total. 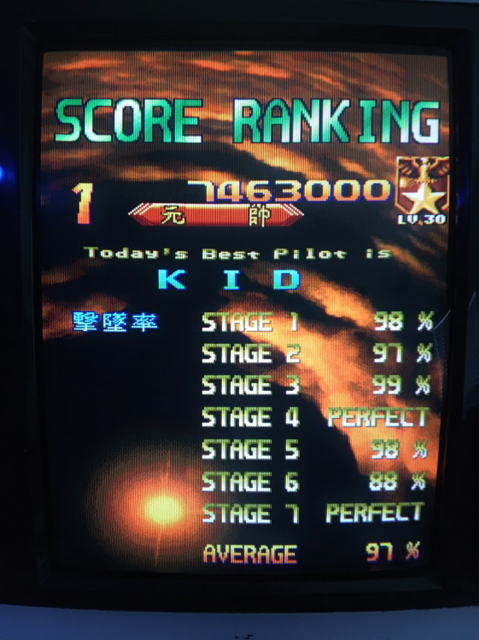 May wanna start marking if anyone starts playing with the newer versions that got dumped to MAME in the last few years, apparently there are minor design differences. I was gonna make this as well but I'm not really sure. Interestingly the earlier version do have consistent autofire when I tried in MAMEPlus 0.119 and things are not same again in ShmupMAME 4.2 (delay frequency, pointblank with spreadshot are not possible). But yeah there are few enemies that are tend to releases more shots on latest Japan 951225 revision. I feel like such a jerk, you were the one who replied in that thread! Sorry about that. Got pointblanked by final boss two times, fuuuuckkk. I was mistaken for turning the game off early before I capture the score (the last 3 digits are bit fuzzy to remember), but this is what I remembered now. 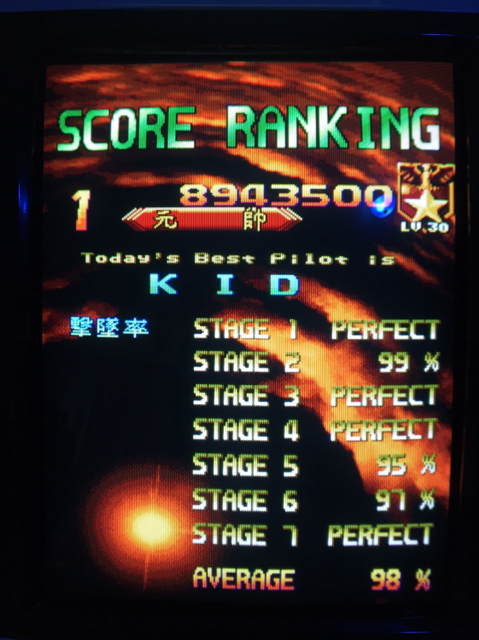 If anyone (especially high score poster) have suggestion whether I should have posted this or not, please correct me. Made a huge mistake on Outerlimits and fail to utilize F.Blacker's safespot (which results 3 chain death). Be sure to post it here if you have another score to submit.